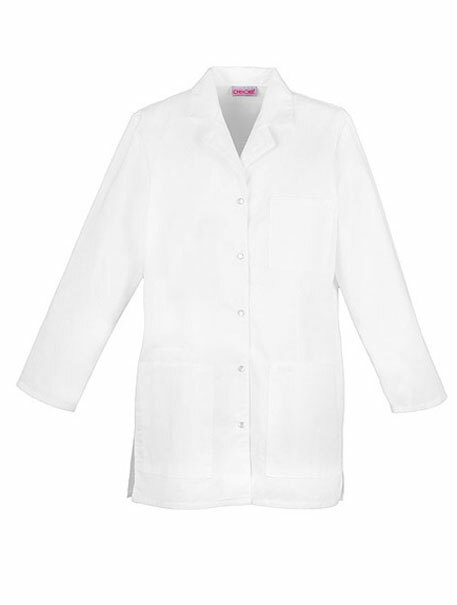 A classic notched lapel lab coat features a snap front closure. 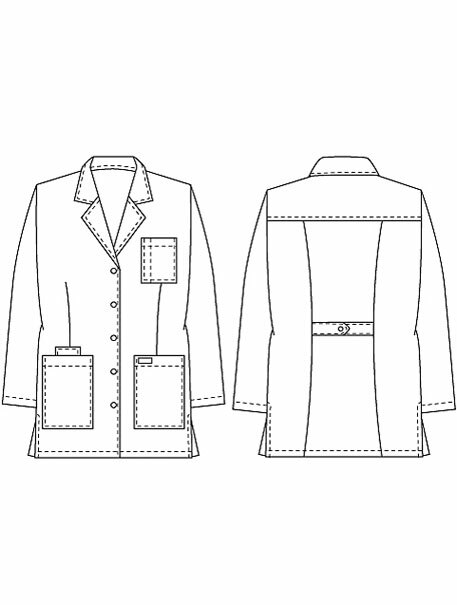 Multiple pockets include, two roomy patch pockets, a cell phone pocket, a chest pocket with a pencil stitch, snap back belt detail, and side vents. Princess seaming as well as front darts and a back yoke provide easy shaping. Center back length: 32"